It's time to wake up and roll out of bed again...Day 4 of the epic "Excellent Adventure" was going to start out on the Beaverhead once again. 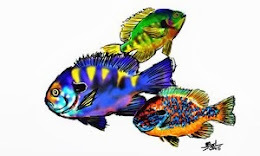 We voted to go back to the "Corral" and fish it once again. It had been the most successful place so far, and we wanted to give it one more shot for at least the morning hours before heading out to some new water. Ahhh...that lovely 2 1/2 mi walk once again. Would it be worth it? Well, I wouldn't find out...yet. ﻿I had some time to make up! Three casts in...fish on! Wow! And it's a biggun'...hey everybody...look at what I have...Ohhhhh...20" WHITEFISH! Great. All that excitement of a bent rod on a whitie. The WIND was starting to howl once again. 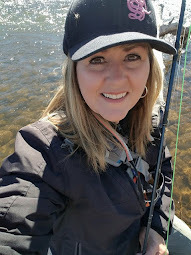 I missed the first two hours of wind-free fishing, darn it! Another casting lesson from Maynard would bring my 12:00 cast landing at 6:00 all the way to a near perfect 12:00 cast landing at 1:00. 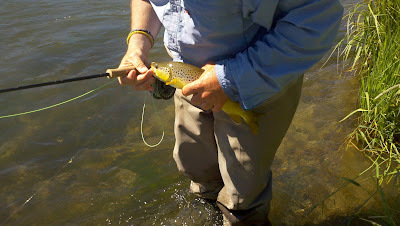 Another half hour and I would nail an 18" brown that made me smile from ear to ear. We all netted a few fish and decided it was time to head to the Madison River on the way to our destination of Island Park, ID. for the night. I love the Maddy... For some odd reason, as tough as the Madison can be for some people...I have never been skunked. And most of my fish have been of nice size. But, before we would get there, we had a quick stop to the Winston factory in Twin Bridges. I got to take a quick peak at their displays of 1930-1940 tools that they used to use to make their rods and reels. And the collection of rods... It had to be quick and as I left, Ernie yelled out for me to pick up a few stickers for the gang who was patiently waiting in the truck. Then, one more stop at the Madison River Fly Shop. I would pick out a new hat. (I always get one on every trip.) I picked green this time. And then we were off again! 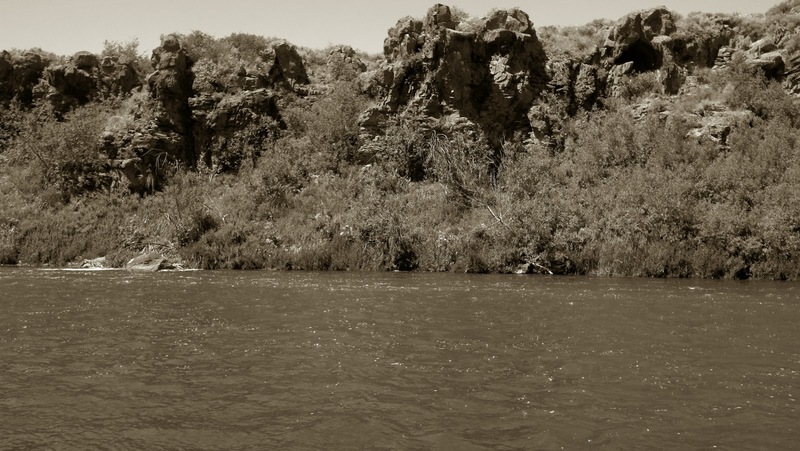 To the West Fork of the Madison. Now, I hadn't tried this stretch before...as I usually end up at Three Dollar Bridge or Raynold's Pass. So, I was anxious to see where we were going and how it would fish for us. "Come to me, BIG FISH OF THE MADISON"!! Ok...Let's try that again. There is no way that I can pull out another dink out of this river. As cute as this 3 inch rainbow was... I put him back to grow up for me in a few years!!! ﻿﻿﻿﻿Day 5... We said our good-byes to Ernie in Island Park. And Peggy Sue met up with another friend who was going back to Utah. 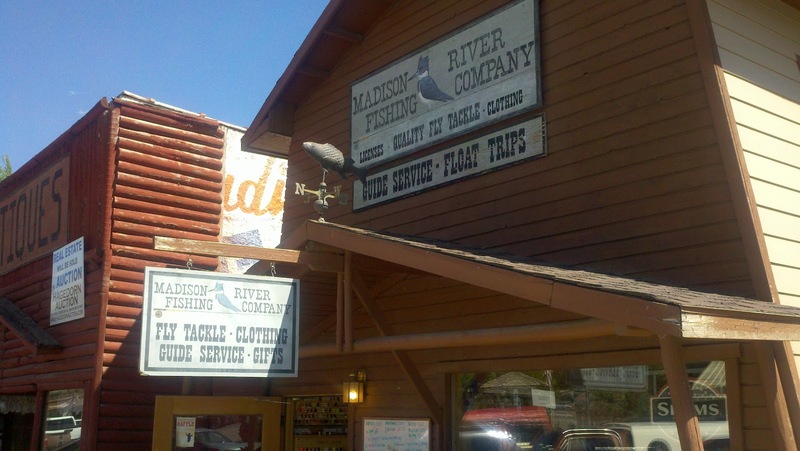 So, that left Maynard and I to hit the Warm River out of Ashton, ID. Nothing there, but "cold, brisk water" first thing in the morning... It wasn't "warm" or friendly this day... I was checking out river reports on my smartphone and I told Maynard about a section of the Henry's Fork of the Snake that I would like to try. He was game. 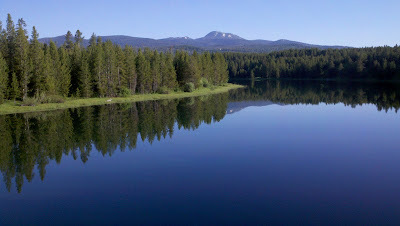 Ora Bridge on the Henry's Fork of the Snake is roughly half a mile below the Ashton Reservoir dam. 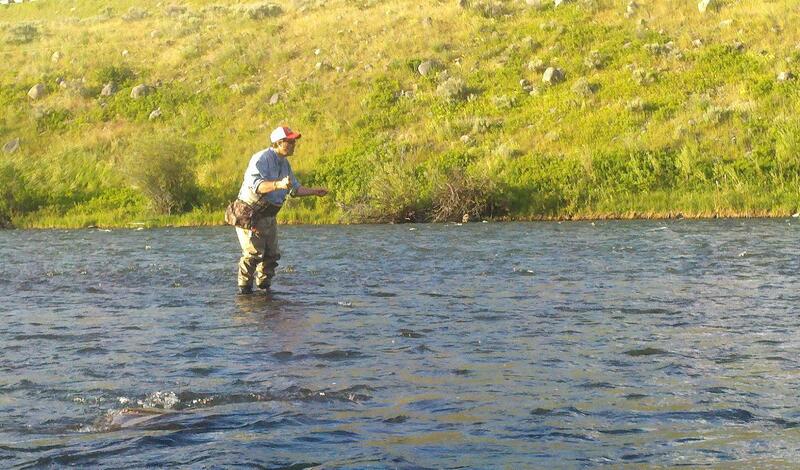 The wading is fairly easy though crossing back and forth through the riffles and runs is still difficult. 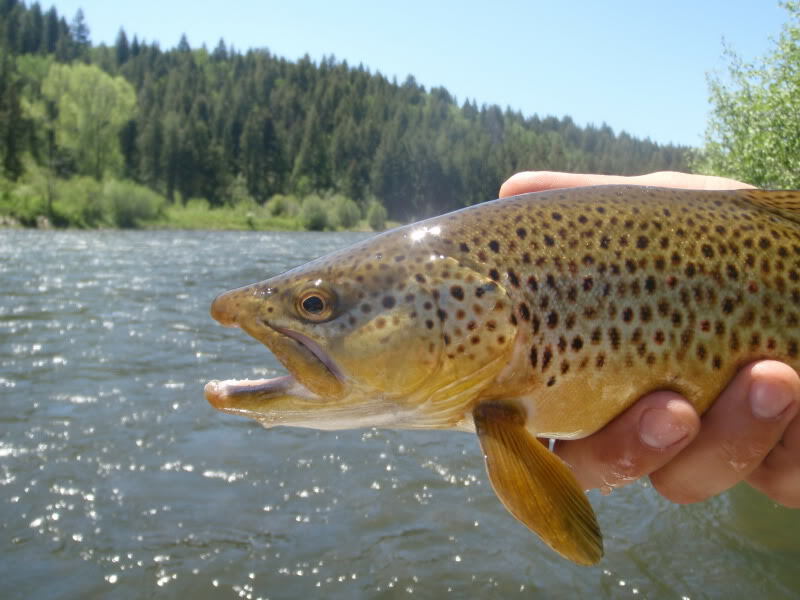 The average fish you can expect to catch here is larger than anywhere else on the river. 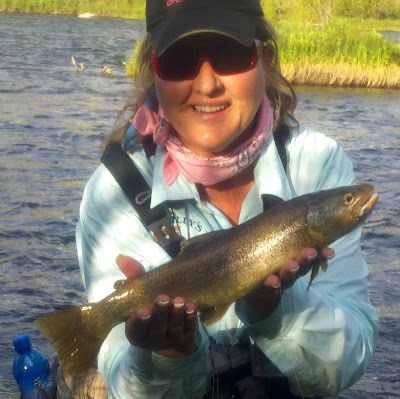 16”-20” fish are the norm, with 20”-22” fish caught fairly often. 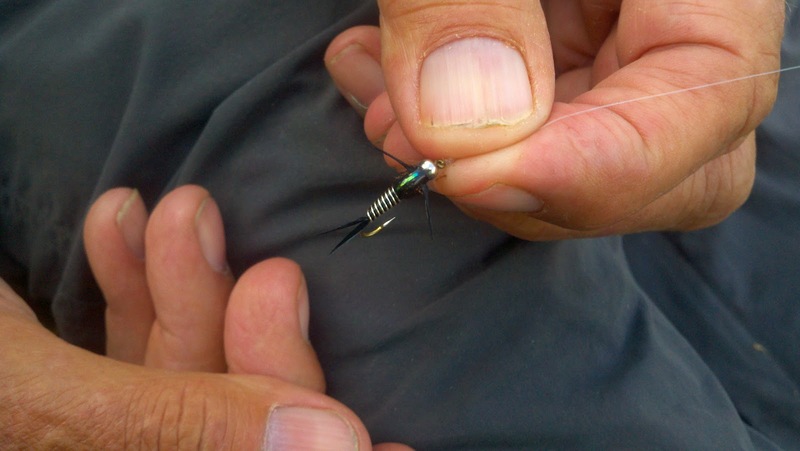 Like everywhere on the Henry’s Fork, you can’t count out stonefly nymphs with various droppers. I just had a feeling about this place. Don't know why... And my hunch was right. A big, wide river...full of drift boats launching when we got there. No worries! We walked upstream and started casting away. We only had a couple of hours before we would have to head home. I decided to put on my Czech stonefly nymph with rubber legs. 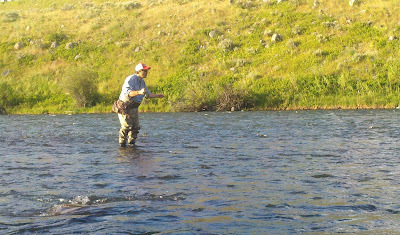 The water was deeper and I would have to get down to the fish. Boom! Boom! And again! 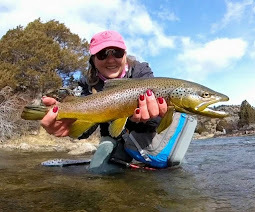 I couldn't believe it...nice browns! Ok...I'm liking this... Mr. Rubberlegs was working his magic. But, all good things must end. And after Maynard got his brown trout, it was time to pack it up and head on down the road and back to home sweet home. We saw the sights along the way, we searched high and low for fishy waters, we battled the fierce 40 mph winds. I would have to say that Maynard is one heck of a tour guide... Thanks to everyone for a fun filled five days and many lessons learned. From simple things like knot tying to casting in the wind. Oh yeah...and that little thing called "forgetting one's license"... We will never pull that stunt again... I promise you that! 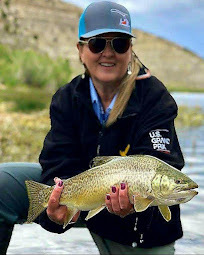 Rivers Fished: The Firehole (Yellowstone Park), The Ruby, The Beaverhead, The Big Hole, The Madison, The Warm River, and The Henry's Fork Of The Snake. Now, that is an EXCELLENT ADVENTURE! You lucky so and so. What a place to visit, wow. Call in and see me sometime again? Definately an Excellent Adventure. Glad you had a good time. Mark ~ It was an awesome trip. Ready to do it again tomorrow! Ha! Bravo. Nice reporting on what must have been awesome. Glad to hear it was such a good time. Howard - Thanks! Not hard to report on something so fun! 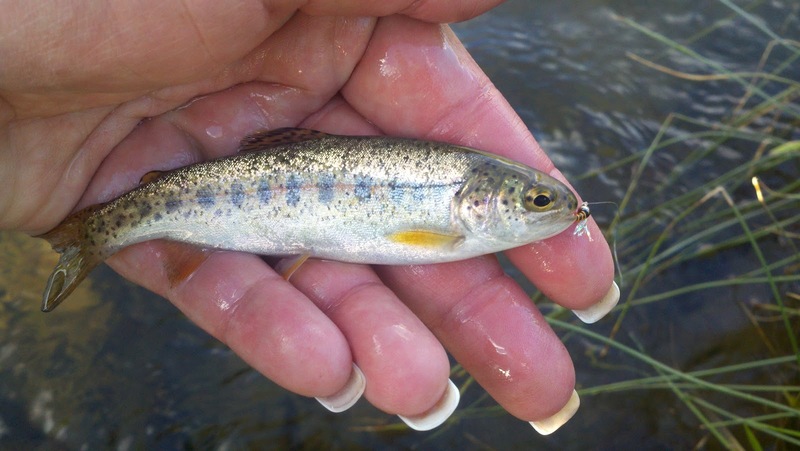 So the Madison was the big trout waters; I have read so much about the Madison being the place to land larger trout. 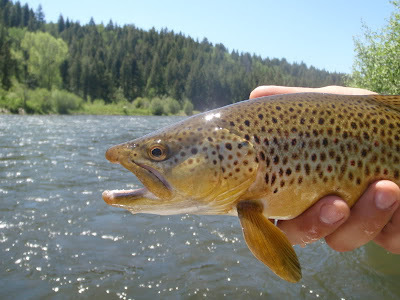 Was that your biggest trout ever, how long did it take you land that it? 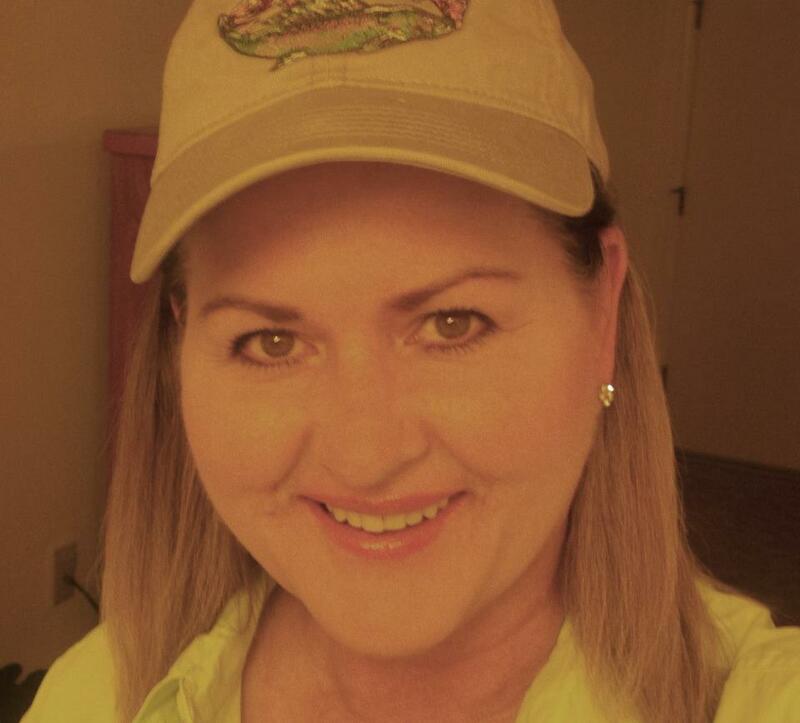 I have really enjoyed reading all your reports and have picked up some great information. Thanks for sharing a great trip!! 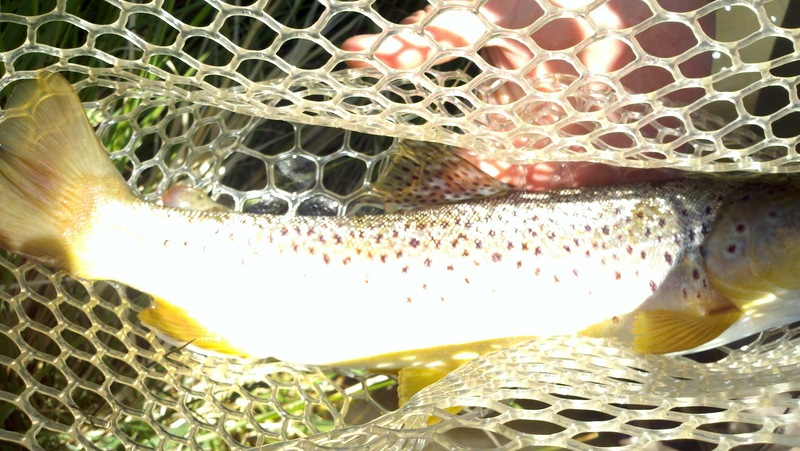 The Madison has its share of large trout...rainbow and browns. This puppy took about ten minutes to wrangle in. My largest fish is a 24" brown on River X and a 24" brown on the Madison. This one was probably about 20"...we didn't measure though. Looks like you covered some ground. Great post from what looks like a great trip. Thanks, Zach. I appreciate that.